MOSCOW, April 13. /TASS/. 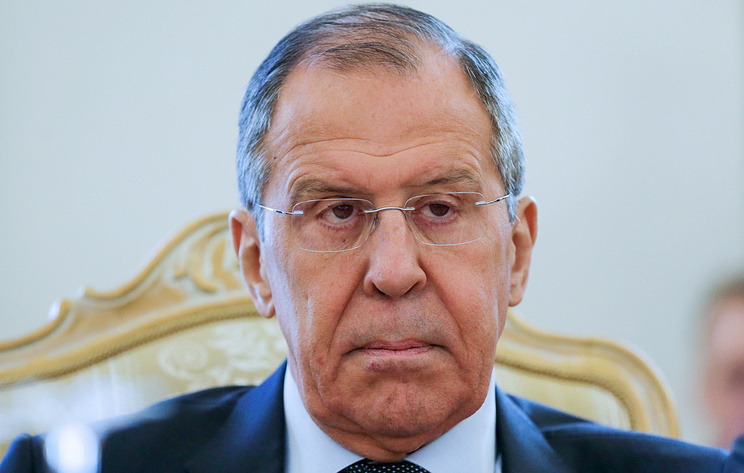 Washington is doing its utmost to restrict cooperation of developing countries with Russia and China, Russian Foreign Minister Sergey Lavrov said on Saturday in his address to the 27th Assembly of the Council on Foreign and Defense Policy. "[The United States] has recently invented a new thing - a so called concept of maintaining true sovereignty - which is being used as a cover-up of pressure on developing countries around the world," he said. "Simultaneously, [Washington] seeks to curb cooperation of those nations with Russia, China and with other independent centers of power," Lavrov said. Moscow and Beijing have joined efforts at the United Nations Security Council counteracting attempts to break international law, Russian Foreign Minister stressed. "Our partnership with Beijing is not just an example of a mutually beneficial and comprehensive relationship. The Russian-Chinese cooperation has a sobering effect on those who push ahead with illegal methods to solve international problems," the minister said. "It happened at the UN Security Council during discussion of the Syria scenario when unilateral, unlawful resolutions were submitted. It happened recently when our countries both vetoed the US-drafted resolution on Venezuela, which went beyond all imaginable and unimaginable norms of international law and elementary diplomatic ethics," Lavrov stressed. Sovereign equality of states is still one of the fundamental principles in international relations that has not been challenged yet, Lavrov added. "One of the fundamental principles in the United Nations Charter is sovereign equality of states," he said. "Yes, I know that there are some assessments of how nuclear states can speak about equality. In fact, the UN Charter set a legal framework which determined sovereign equality of states as a fundamental principle that has not been contested since then," he added. Russia’s foreign minister pointed out that notwithstanding the fact that nuclear states do exist in the world, "after the appearance of ‘nuclear five’, the principle of sovereign equality of states was reinstated in the signing of the Treaty on the Non-Proliferation of Nuclear Weapons." "We try to work constructively with all keen players," he said. "At the same time, we do not lose hope that it might be possible to find common ground with those partners who we do not get along well with," he concluded.